MG Hop, Green Candle’s Youth Dance Project (formerly BanglaHop! ), has been running for over 5 years at Mulberry School for Girls in Tower Hamlets. Develop individuals dance abilities in new dance styles such as House, pop/ hip-hop and commercial dance. Increase skills in; memory, musicality, rhythm, footwork, floorwork, space awareness, teamwork and choreography. Improve students’ health and fitness, through muscular endurance, strength and stamina. Increase social bonding between peers through shared experiences. Improve participants’ self-confidence and self-esteem and support positive self-reflection. 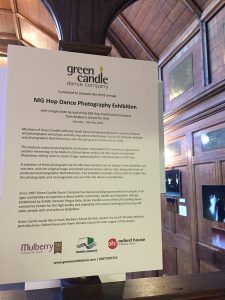 The culmination of MG Hop’s work during the workshops was shared with their family, peers and school staff at a performance at the exhibition opening on May 15th 2018, with the photographs taken by, and of, the students exhibited in a space at Oxford House for all to see. The exhibition images went on to be displayed again at Mulberry School for Girls during the autumn term 2018. 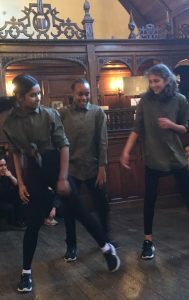 The participants enjoyed the opportunity to work together, make friends with other students, create their own choreography, perform in front of other people and learn new skills in dance, photography and editing. They also expressed a great feeling of pride at seeing their images displayed in the exhibition. 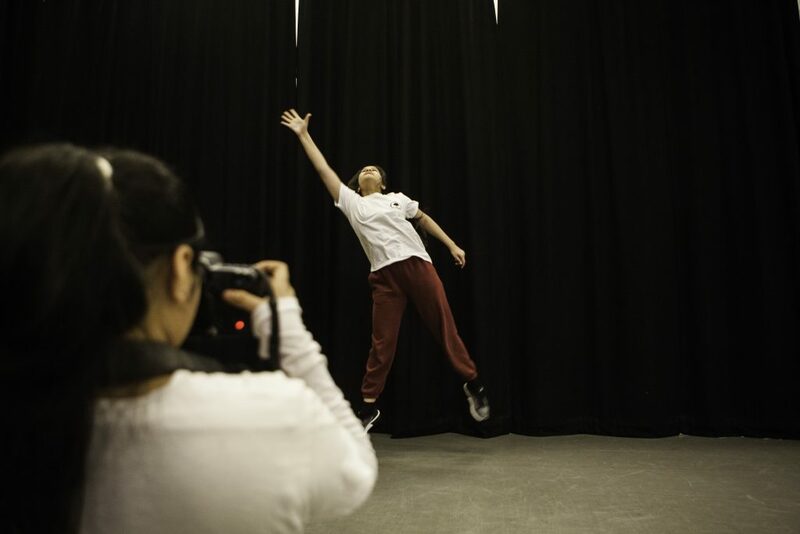 The dual element of dance and photography with performance and sharing opportunities positively engaged the students and provided them with a new creative focus to their learning. We are delighted that we have secured funding in order for MG Hop to continue for the 2018/19 academic year and we look forward to working with the students at Mulberry School for Girls again. 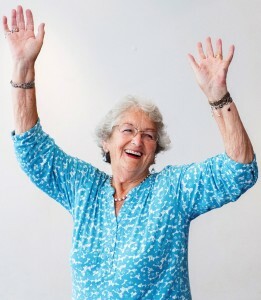 Diploma in Leading Dance for Older People – registration now open! Now booking for its sixth year, this hugely successful course will begin again in October 2018. The DIPLOMA IN LEADING DANCE FOR OLDER PEOPLE is a Level 3 OCNLR Course covering 13 accredited units over six weekends (one weekend a month for 6 months). 3.Assessed practice with older people. The course is suitable for teachers, dancers and dance students, health care workers, occupational therapists and activity coordinators. Closing date: The deadline for applications is 31st August 2018. Green Candle and London Arts in Health Forum are coming together to present a free morning symposium exploring the way dance can impact positively on health in later life. The event will examine what is needed to ensure quality in provision of dance and how dance can build fruitful relationships with agencies such as the NHS in hospitals, community services and GP practices. This event is FREE but you need to register and reserve your place. An opportunity for someone to gain valuable experience within Green Candle Dance Company working with children, young people and older adults. At Green Candle we believe in providing professional development opportunities and experiences for dance artists new to the field, or looking to enhance their knowledge. We are currently looking for a participation and communications volunteer to join our team for the Summer 2018. This is a unique chance for an artist to gain practical learning and leadership skills in the community arts. We are seeking an enthusiastic and motivated individual who can assist in the delivery of weekly sessions for a variety of groups, and support the office with communications and general administrative support. This role is suitable for those interested in developing skills working with children and young people and older people. The candidate will assist classes led by the Green Candle team at our home in Bethnal Green as well as in a variety of settings in the community that may include care homes, day centres, nursing homes and schools. The candidate will need to be available on Tuesdays consistently throughout the summer term, which runs from week commencing Tuesday 17th April – Mid July. The opportunity to assist will offer the successful candidate the chance to experience dance delivery in a variety of contexts. Due to the nature of the environment where our dance sessions take place, we expect the candidate to be open-minded and have a warm, friendly persona. Because the successful applicant will be working with children and vulnerable adults, they must hold a current enhanced DBS certificate. This is an unpaid position; however, the Company will cover travel expenses within London. If you are interested in applying for this position, please send your CV and a covering letter outlining your reason for applying to vicki@greencandledance.com or call 0207 739 7722 for more information. Interviews: Friday 13th April 2018 by invitation only at Oxford House, Bethnal Green, London, E2 6HG. We are pleased to announce that we will be holding our Moving into Maturity workshop in May/June 2018. Booking is now open for this two day introductory course in leading dance for older people and dance for dementia. Moving into Maturity is an introductory professional development course for people working, or intending to work, with older people. Suitable for professional dance artists, health care professionals and students, this course will introduce some of the key skills needed to lead dance sessions, both seated and standing, with older people and people with dementia. Attendees may take part in the two days or join us for one of the days. Both days will include the unique opportunity to share in the knowledge and experience of participants who regularly take part in dance activities with Green Candle – on day one, the Green Candle Senior Dancers, and on day two, the participants of the Remember to Dance programme for people with early to mid-stage dementia and their companions or carers. This session will be accompanied by live music. 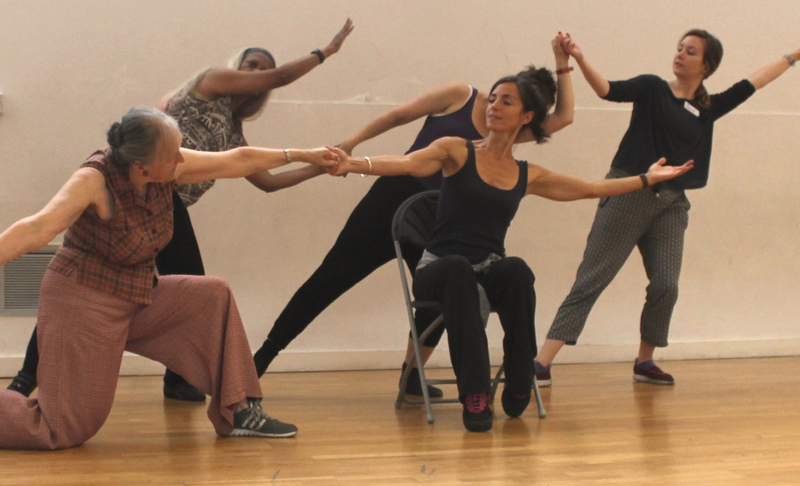 Led by Fergus Early, participants will take part in practical sessions for older people as delivered by Green Candle (standing and seated), including warm ups, stretching, improvisation, a choreographed sequence and cool downs. A wide range of discussion about ageing and the empowerment of older people will be facilitated. Our second day will address leading dance specifically for people with dementia. Fergus Early will focus on the application of dance sessions for people living with dementia including practical activities and reflective discussions, and in addition a Dementia Awareness presentation will be led by experts from the Alzheimer’s Society. Moving into Maturity is an excellent introduction to Green Candle’s Diploma Course ‘Leading Dance with Older People’. Green Candle Dance Company have been producing high quality performances, participatory events and creative workshops in local communities for over 30 years. We believe that everyone has the right to practise, learn and appreciate dance, regardless of age or ability, and that dance can make a meaningful contribution to the physical and emotional well-being of participants. Our work explores important issues in inspiring and engaging ways. Using a rich mix of dance and music styles, both younger and older participants can explore, create, interact, and celebrate together through dance. We are looking for energetic new Members for our Board to help oversee a continuous programme of workshops, productions, projects, events and fundraising. We would like to strengthen and diversify our Board, whose members have ultimate responsibility for the strategic direction, development and governance of Green Candle. We are looking for individuals who have a passion for dance, arts and culture – along with high levels of energy, expertise and dedication. We encourage applications from a diverse range of backgrounds, abilities and ages, and are particularly but not exclusively interested in hearing from individuals with knowledge, expertise and experience in the areas of finance, business, and education. There will be a Board Meeting on 12th June 2018 which shortlisted candidates will be invited to attend as observers. 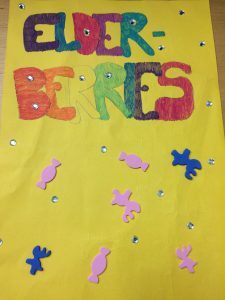 The Dance Interlinks project brought together children from Redbridge Primary School and participants of Green Candle’s Remember to Dance in Redbridge group at Elderberries Day Centre from Autumn to Spring 2017/18 to dance together, develop creative stories and choreograph movement all inspired by the borough’s namesake, the ‘Red Bridge’. -Improve physical and mental health and wellbeing through regular dance activities. -Improve self-confidence and self-esteem of participants. -Improve relationships within the community between individuals and organisations, break down barriers and dispel preconceived conceptions between older and younger generations. The project culminated in a day of sharing between the younger and older participants. The older participants benefitted greatly from involvement in the project and very much enjoyed working with the children. One older participant commented that they don’t have any grandchildren so it was lovely to have younger people around as it made them feel younger and perked them up. Green Candle would like to thank everyone involved in the project – particpants, volunteers, staff, funders and supporters and we look forward to getting involved in more intergenerational projects in the future! The project was funded by Vision RCL Redbridge Arts Grants and City Bridge Trust. Remember to Dance in Redbridge is delivered in partnership with Elderberries Day Centre, Age UK Redbridge, Barking and Havering, Redbridge Respite Carers Association, Redbridge Carers Support Service and North East London NHS Foundation Trust’s Memory Clinic (MHCOP). 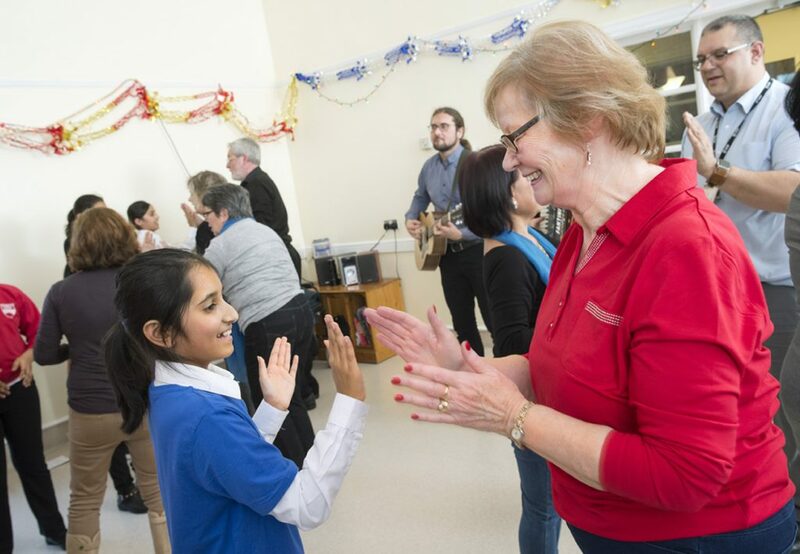 We are looking for a volunteer dance assistant to support our dance and dementia programme, ‘Remember to Dance’ in Redbridge, East London on Thursday afternoons. ‘Remember to Dance’ provides weekly dance and live music workshops for people living with early to mid-stage dementia and their carers or companions. Research of the programme by the Sidney de Haan Research Centre for Arts and Health, Canterbury Christchurch University, has found that these sessions help improve the quality of life, functioning, motivation, creative and emotional expression, confidence, relationships, social competence, and overall wellbeing for people in different stages of dementia and those involved in their care. This is a unique chance for an artist to gain practical experience in community arts and the role is suitable for someone interested in particular in developing skills working with older people and those with dementia. We are seeking an enthusiastic and motivated individual who can assist in the delivery of this weekly session led by the Green Candle team. The successful candidate will need to be available from 1-3.30pm every Thursday during the spring term, which runs from week commencing Friday 12th January to Thursday 29th March. Due to the nature of the environment where our dance sessions take place and project participants, we expect the successful candidate to be open-minded and have a warm, friendly persona. Candidates must hold a current DBS certificate. This is an unpaid position; however, the Company will cover travel expenses within London. We have an opportunity for two people to gain valuable experience within Green Candle Dance Company working with children, young people and older adults. At Green Candle we believe in providing professional development opportunities and experiences for dance artists new to the field, or looking to enhance their knowledge. We are currently looking for two participation and communications volunteers to join our team for the spring term 2018. This is a unique chance for artists to gain practical learning and leadership skills in the community arts. We are seeking enthusiastic and motivated individuals who can assist in the delivery of weekly sessions for a variety of groups, and support the office with communications and general administrative support. These two new roles are suitable for those interested in developing skills working with children and young people, older people and those with dementia. Candidates will assist classes led by the Green Candle team at our home in Bethnal Green as well as in a variety of settings in the community that may include care homes, day centres, nursing homes and schools. Both candidates will need to be available for one or two of the following days a week – Tuesdays, Thursdays and Fridays – consistently throughout the summer term, which runs from week commencing Friday 12th January to Thursday 29th March. The opportunity to assist will offer the successful candidates the chance to experience dance delivery in a variety of contexts. 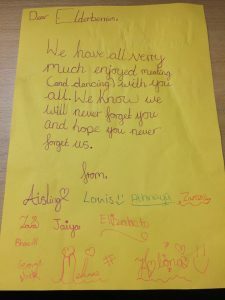 Due to the nature of the environment where our dance sessions take place, we expect the candidates to be open-minded and have a warm, friendly persona. Candidates must hold a current enhanced DBS certificate. This is an unpaid position; however, the Company will cover travel expenses within London. If you are interested in applying for this position, please send your CV and a covering letter outlining your reason for applying to suzanne@greencandledance.com or call 0207 739 7722 for more information. Interviews: Monday 15th January 2018 by invitation only at Oxford House, Bethnal Green, London, E2 6HG. Please note that this will be a freelance contract and you will be responsible for your own Public Liability Insurance, Tax and National Insurance. 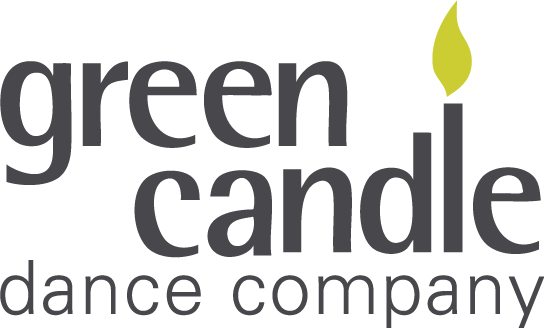 Green Candle Dance Company is one of the country’s leading dance companies working with and for children, young people and older adults. The company is now looking to recruit a fundraising officer with proven experience of fundraising for participatory arts. S/He will be responsible for researching and developing new funding streams to support the increased call for participatory projects and will demonstrate prior knowledge of applying to trusts and grant-giving bodies. The successful candidate will be contracted on a freelance open-ended contract at 2 days per month, with a 6 month probationary period from start date. The fundraising officer will be based at the company’s office in Oxford House, Bethnal Green and will report directly to Artistic Director Fergus Early. Closing date for applications: 12 noon Wednesday 11th October 2017. Interviews: Invitation only interviews will be held in the week of 30th October 2017. Green Candle is an Equal Opportunities employer. Appointments will be subject to references and Enhanced DBS checks. Our main objective is to provide dance experiences to those with least access to it, within both educational and community settings. At Green Candle we make sure that everyone fulfils his or her right to watch and participate in dance regardless of age or ability.